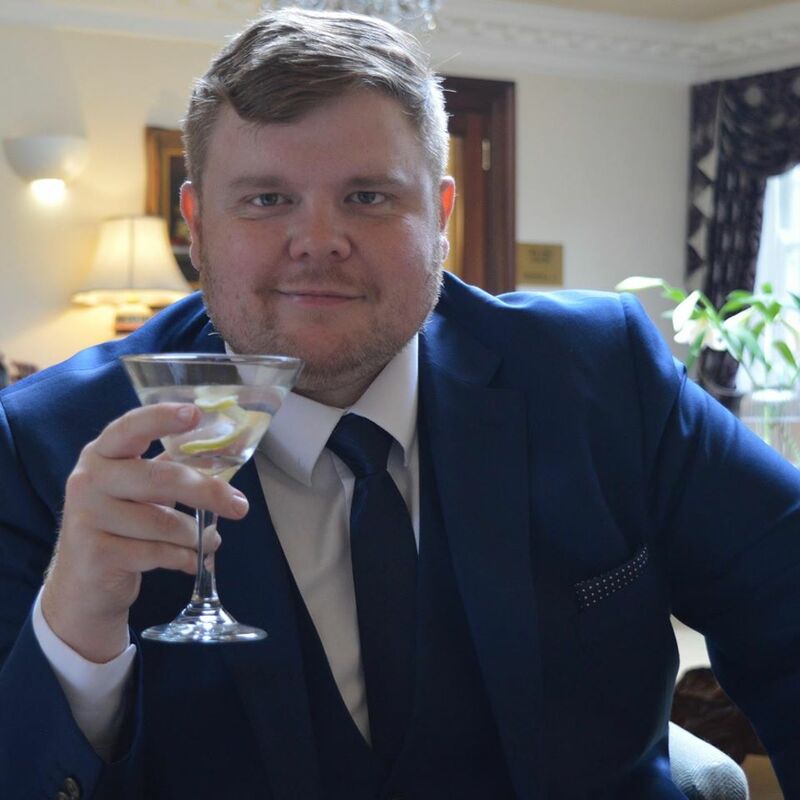 One of Mrs Cool's oldest friends got married recently and as a reward for hitting my first weight loss target I bought a new suit for the big day. 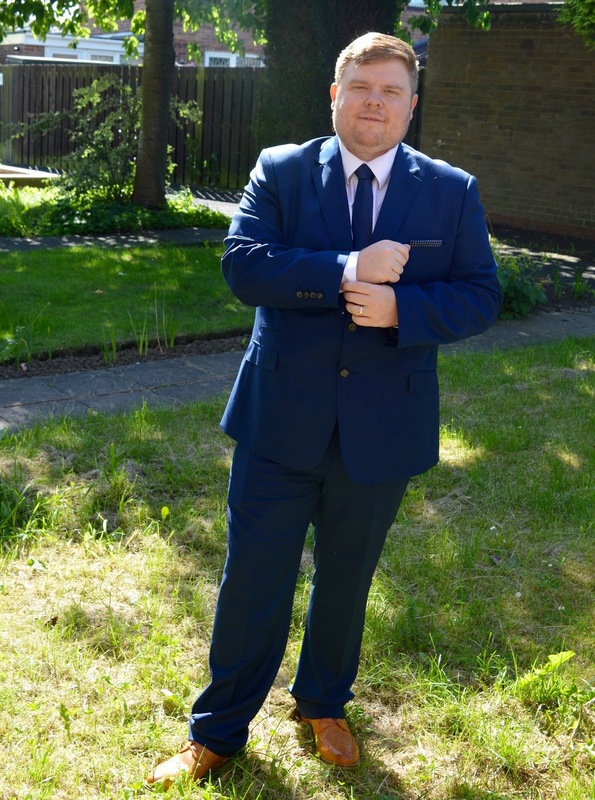 I have a few suits already but I've had them a while and they are looking a bit shabby and (as I've lost weight) they are a bit big now. 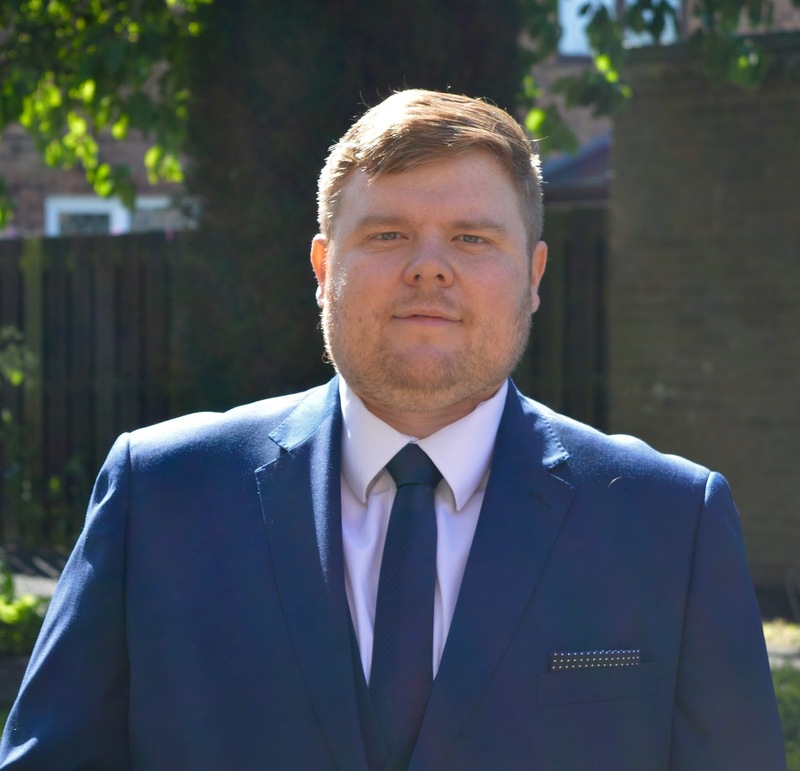 To be honest the suits I have bought in the past have usually been on the cheap side so I decided to treat myself this time and set a budget of £250 to get my new suit. A few months ago Mrs Cool had a blog assignment Dalton Park which is a retail outlet not far from us. I saw a few suits in a shop called Skopes that I liked so decided to head back to buy my new one. I had already decided on a blue suit as I think this colour is both classic and contemporary the staff at Skopes were really helpful and friendly. The tailor who served me really seemed interested in the wedding I was going to asking about how I knew the couple and where the venue was, I really think this approach to sales is so much better than just the 'Hard Sell' approach. 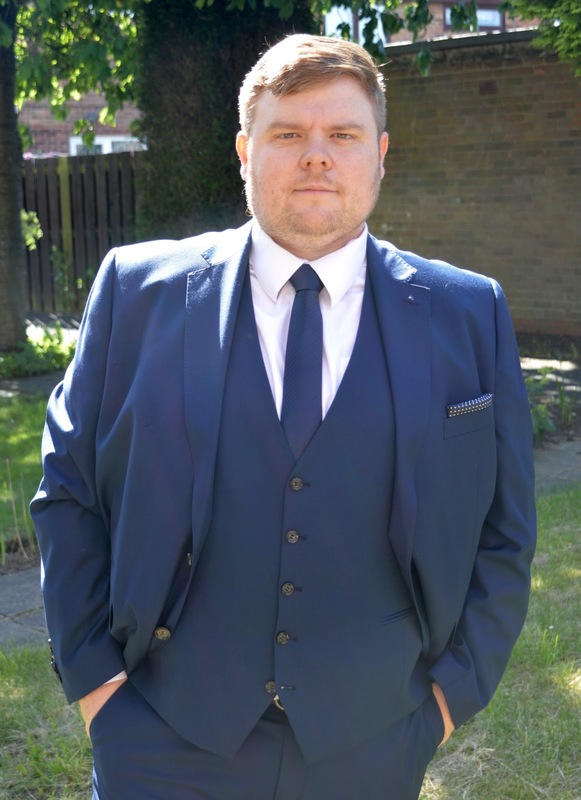 When it comes to a wedding my opinion is that a man needs to wear a three piece suit, the waistcoat really makes it feel more formal (a tip I picked up from from the tailor who dressed me for my friend Graeme's wedding is that you should never fasten the bottom button of a waistcoat). Also when you need to take your blazer off you still look very smart in a waistcoat. When you're wearing a suit this colour then there is only one option for shoes. It has to be brogues and they have to be brown. I had been to a few shops and they all seemed very expensive (£220 in John Lewis) but I managed to find a good pair in Top Man in a sale for only £35 (bargin!). The best way to make the same suit last for for a lot of different events is with the right accessories. A different shirt and tie can make it look like a new suit. The handkerchief (or pocket square) should fit with the style of the suit but shouldn't be an exact match to the tie. There are loads of combination of tie knots and handkerchief folds. I went for a Hanover knot (here is a easy to follow video to show you how) and a simple straight Handkerchief fold. This suit, including the shoes, tie and handkerchief, came in at £215 which I though was very reasonable, I was very happy with the quality. It was really comfortable all day and night (even when I was pulling out some killer moves on the dance floor). The wedding was really great. The bride looked beautiful, the service was lovely and very personal to the happy couple. The grounds were stunning, the meal was delicious and the evening reception was a lot of fun with lots of drinking and dancing. Looking good, Steve! We've got a wedding to attend next year so I'll definitely get my fella to check this out before making a suit purchase! 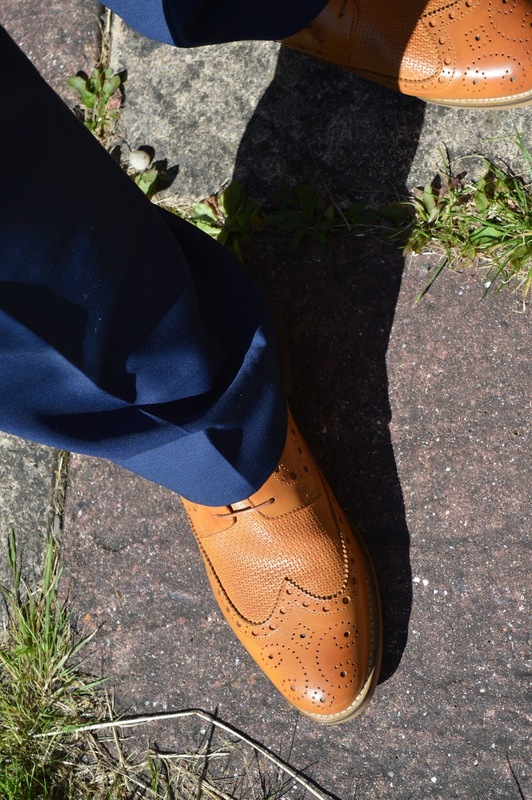 He's generally a fan of the blue suit with brown brogues so I'm sure he'll like your style! My previous suite was grey. I only got it a couple of years ago but it already looks dated. I don't think that will happen with this suit.